What's a football game without tailgating? The Faithful Mile Concept. 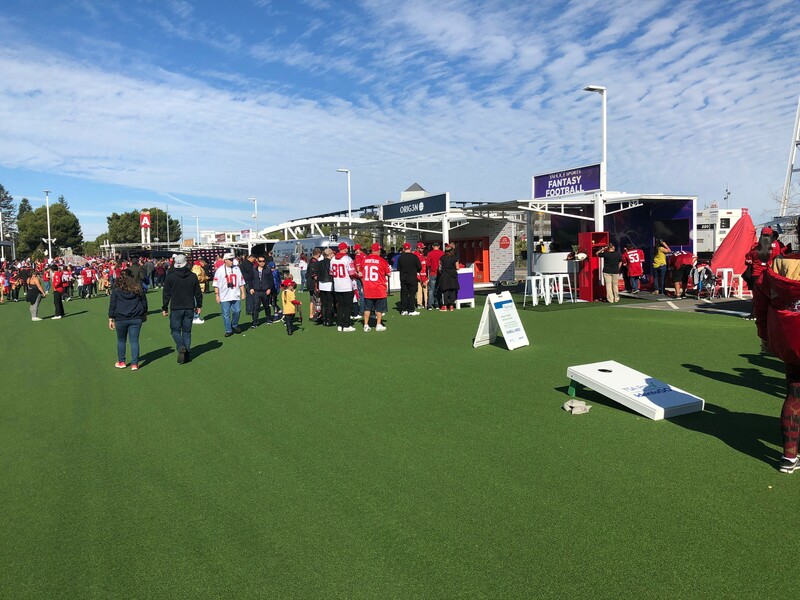 The all-new tailgating concept presented by Safeway kicks off the 2018-2019 NFL game season at Levi's Stadium. The 60,000 square foot interactive pre-game area with enough room to entertain 4,000 fans is one of the major attractions for fans free to access for all ticket holders. It's open 3 hours before each home game through kickoff. 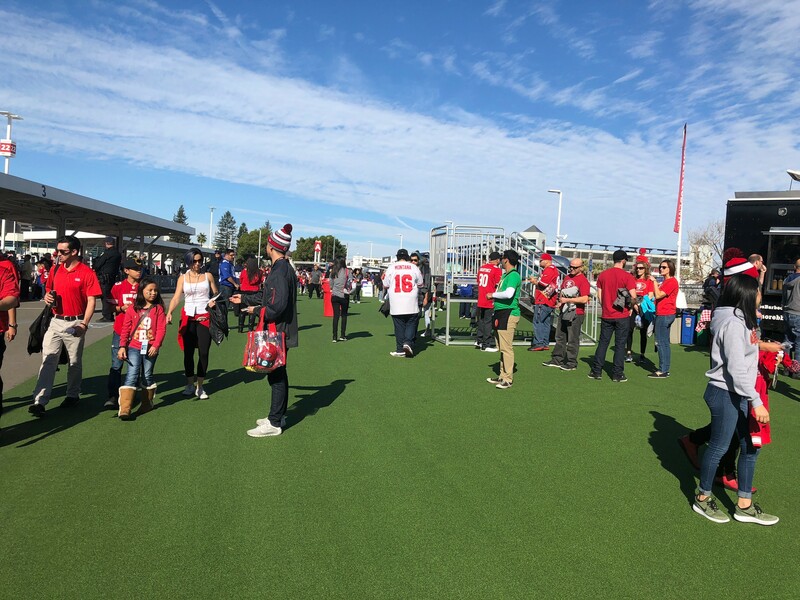 The Faithful Mile is located inside the screening perimeter west of Levi's stadium. It includes two Bud Light bars, each with 20+ flat-screen HDTVs showing all the NFL action; the Pepsi Stage showcasing music and entertainment, authentic synthetic turf surface presented by Global Syn-Turf, a food-truck village and more! Never Been to Levi's Stadium? The Levi's Stadium is one of the newest in the NFL. 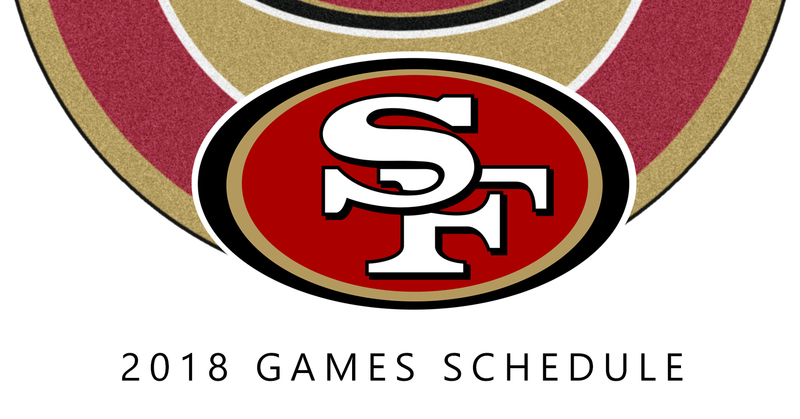 This world-class, high-tech, fan-friendly sports and entertainment $1.3 billion venue, a new home of San Francisco 49ers in Santa Clara, California since 2014 is located approximately 40 miles south of San Francisco, in the heart of Silicon Valley. Not surprisingly, the technological infrastructure of Levi's stadium is the state-of-art with Wi-Fi and BLE sensors throughout, interactive game elements, and technology that allows much richer and entertaining fan experience. The stadium has 1,200 Wi-Fi access points, spreading across every 100 seats, more than 200 charging station, 40 gigabytes of available Internet bandwidth, and 400-plus miles and data cable. Each Wi-Fi router provides 40 gigabits per second internet bandwidth capacity compared to the NFL mandate 10 gigabits. The biggest problem inside stadiums is that mobile reception is spotty, leaving people feeling disconnected for hours. Levi's stadium was designed with a unique infrastructure than the standard Wi-Fi shooting cone. It uses a new model called the MicroCell system. Thanks to 400 miles of data cables dedicated to connecting the 1,200 distributed antenna systems for Wi-Fi routers, a seat will never be more than 10 feet from a direct signal. Overall, the connectivity and bandwidth is the crucial components of the technology in the ESC. The stadium has about 1,700 latest version of Bluetooth Low Energy standard beacons used to pinpoint fans to their seats as well as to find any place in the stadium. There are nearly 3,000 TV monitors in the stadium. 4K TV's and LCD screens are literally all over the place including bathrooms. All video is managed by Sony's technology from the stadium's control room. Solar panels make the structure energy-neutral. While it's not particularly new in stadiums, Levi's solar panels are made in the form of functional bridges. It's the first of its kind in the NFL, perhaps, the first power-saving design that looks attractive, even for those with rooftop VIP seats. From the solar terrace and end zones, fans can also see two 48-foot high LED screens by Daktronics. One is 200 feet, and the other is 148 feet wide with a 13HD pixel layout. All that light is working from a carbon-neutral energy grid. 49ers is the first professional sports team to achieve net zero energy performance in California. Levi's stadium the first professional football stadium with LEED Gold certification. The 49ers museum has an interactive content for every player on the team in the past. The roster contains 12,000 photos and 1,295 players' data. Unlike traditional team gallery, Levi's unique heritage gallery tool created by Cortina Productions is fully searchable on touchscreens. It's a mix of visual and audible stories, keyed-in green-screen interviews with coaches, old clips of play and animated sequences. There are also interactive elements in the museum's internal STEM classrooms, where teachers can control students' interactive desks during lessons. Levi's stadium technology is topped with a VenueNext app that lets you order food on-demand directly to your seat, watch playbacks from multiple angles and much more. The app is amazing, it has 80,000 downloads even before the stadium was opened. Most seats had these Verizon-sponsored charging stations. Can't let your phone run out of juice while the game is on! Every inside the stadium, there are interactive games, lessons from players, broadcaster simulations, and Sony touchscreens that give fans to join the action-think of a Dave & Busters dedicated to your favorite team. On the Verizon displays, you can join the team and see what you name would look like on the back of a jersey. According to San Francisco 49ers chief operating officer Al Guido, the stadium is built as a software-driven, not a hardware driven stadium. All shops have tablet payment systems. SAP had cool kiosks set up around the stadium where you could take an NFL trivia quiz. Fans can get on the big screen by adding a hashtag to their tweets. Flickr makes it happen. 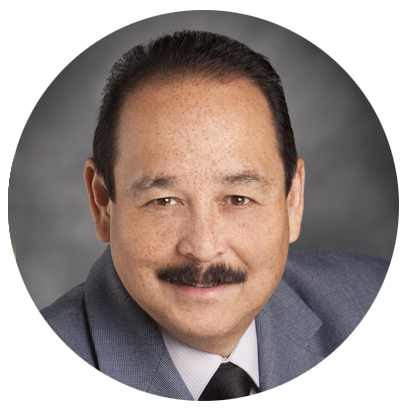 The Levi's stadium is called the "most high-tech stadium anywhere in the world" by American technology columnist and consultant Tim Bajarin. "Most people have heard of smartphones, smart cars, and smart homes. Say hello to the smart stadium." The symbiotic relationships between Levi's stadium and Silicon Valley give the stadium an advantage of being the first to utilize the latest technological innovations constantly enhancing the sports experience. The commitment to deliver the ultimate in-stadium fan experience and openness to all sorts of technology makes this sports venue one of the strongest in the NFL history. Tailgating with the open flame BBQ are allowed only in three lots - Premium Red Lot 3, Blue Lot 1, Premium Yellow Lot 2. No open flame BBQ tailgating permitted only in Red Lot 6 and Red Lot 8. How do I park at Levi's Stadium? There are 19 lots in 4 parking sections; red, blue, yellow and green. Parking lots are open 3.5 hours before the event. You must have a valid event ticket, pass or credential to park. Guests will be directed to their lots by the stadium's personnel. 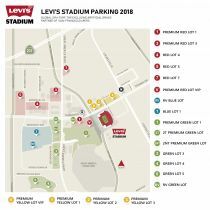 You can prepay for a parking pass online or through Levi's stadium mobile app. 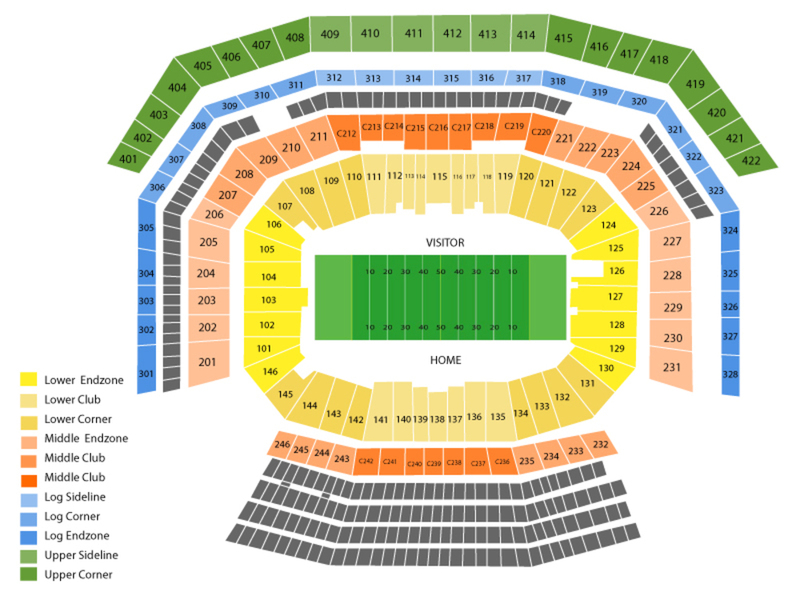 Levi’s® Stadium is located on 4900 Marie P. DeBartolo Way along Tasman Drive. On non-events days, free parking can be accessed via Yellow Lot 1, 2, 3 or Red Lot 1. 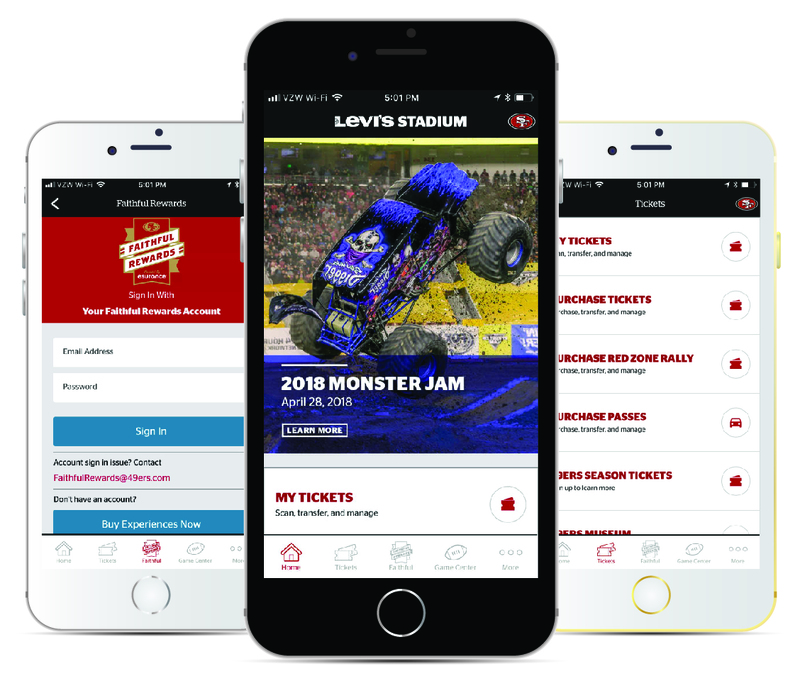 Download Levi's stadium app. This in-venus concierge app has a lot of interesting features, including food delivery and pickup, as well as private security options, instant replays, and interactive navigation inside Levi's stadium. The app is built by VenueNext, a startup backed by Lie Nation, Twitter Ventures, and the owners of the 49ers. It took two-and-a-half years to create and proved to be a more significant challenge than expected. The app gives you access to everything you need for an event regardless of seat location. The main idea was the make the experience inside the stadium more convenient than staying at home and watching it on TV. No one enjoys the long lines at the hot dog stands and bathrooms, especially in the third quarter. You can use the app as your ticket and parking pass. No need to print them out. Just scan your phone on one of the kiosks located in the stadium entry locations. Helps you find your seat with turn-by-turn directions. In-Seat Delivery: You can order food within the app, and get it delivered to your seat, or go pick it up. You can send food to your friend. Explore the stadium with the "Around Me" tool. An interactive guide will navigate to the stadium's top picks like 49ers museum, Michael Mina's tailgate, and more. Real-Time Action: Turn into NFL RedZone, get game stats and watch play-by-play video replays from multiple camera angles. See the game on your phone. LiveSafe: Direct and discreet two-way communication with safety officials, using text, picture, video, and audio. Transfer your tickets to anyone you like. SafeWalk: have your family and friends virtually walk you to your car or public transit safely. Esurance: earn, track and redeem points to pay for purchases in the app. iPhone 6 and iPhone 6 Plus can pay for parking tickets, food, beverage, and more in a secure, est and private way. Check your bag for compliance with the bag rules before leaving your vehicle or home if you are using public transportation. There are no restrictions on what you can bring inside the stadium as long as it's not in your own bag. You can bring CLEAR plastic tote bags, backpacks, purses, fanny packs, and 1-gallon plastic freezer zip lock bags smaller than 12" x 6" x 12". Small clutch bags of the adult-hand size (4.5" x 6.5"), seat cushions, blankets, diaper bags accompanying a child, flags (no poles) are also allowed. All approved bags will be inspected upon entry and are subjects to additional inspections within the stadium. You can bring cameras with 3-inch lenses or shorter. Please, no lights, tripods, selfie-sticks or monopods. If you'd like to bring food and fruits, cut them into pieces. Laptops and laptops bags are not allowed. Please, no bullhorns, whistles, klaxons and other noisemakers. Light-up consumes, signs, glow sticks or battery packs are not allowed. Backpacks, cans, glass bottles, alcoholic beverages, coolers, laser pointers, footballs, frisbees, throwing objects of any kind, weapons, including silverware, signs, banners or poles. Can't smoke inside the stadium.